Amy and her poo crew! 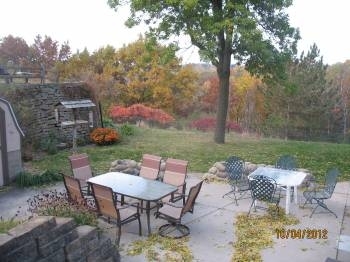 I am Located in the beautiful Mississippi River valley of Winona, MN. 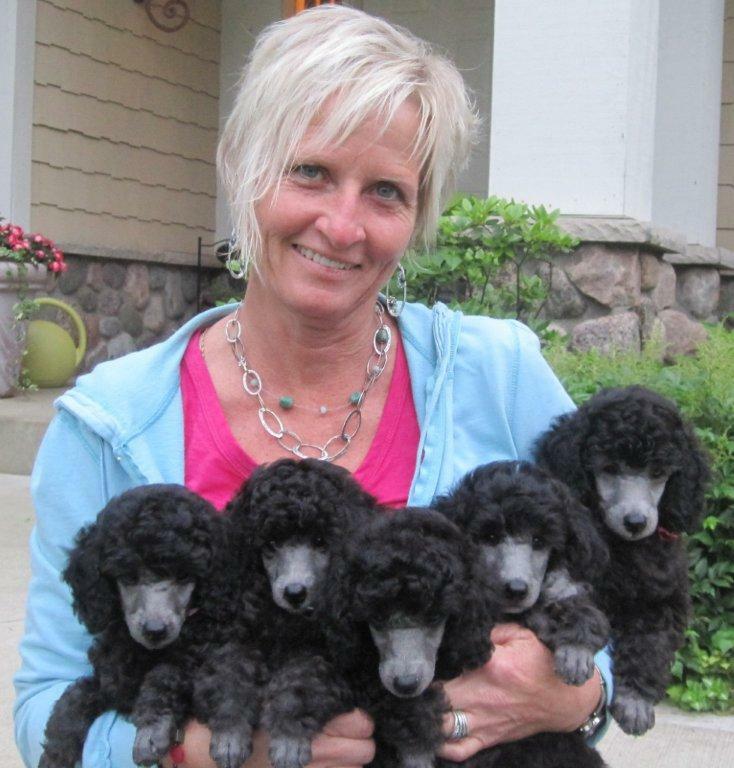 Absolute Silver Miniature Poodles strives to offer you the very best of conformation and working, silver miniature poodles. 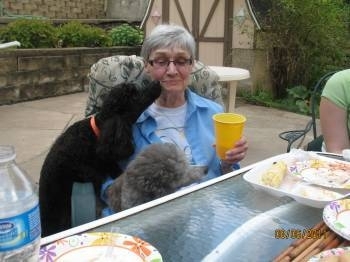 With poodle mentorship from Jean Safranek, who is an 84 year-old master of everything poodle related. 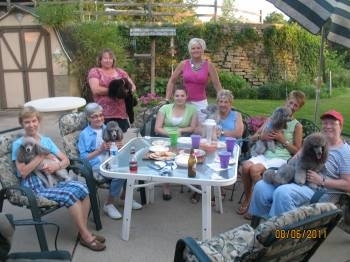 I have learned in 10 short years to set my bar high and go beyond what is required when breeding miniature poodles. My desire is to exceed expectations, that is why I certify eyes, hips, patella's on Dam and Sire, as well as give immunizations, temperament testing, health screening. I am a very small breeder. I only own 1 female at the present time. After my dogs earn their championship in the show ring, the FUN begins! 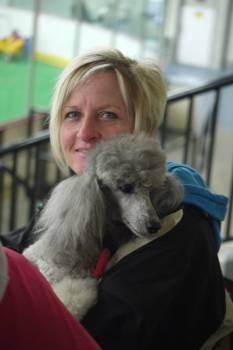 Agility and Obedience are my passion, and I am currently competing in both venues with my young girl, Mina. I co-own Getti, who lives in California with Anne Platte, who is owner and trainer at www.dogquestagility.com. I have 5 children who are very involved with the raising of my pups. Every aspect of our lives revolve around a litter of pups for the 10 weeks we have them. They truly are loved and are missed when they go to new homes. 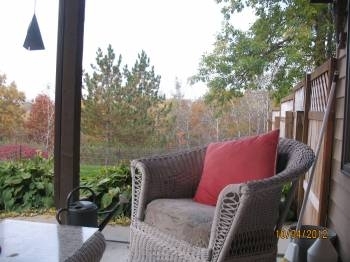 This is where your new poodle will be socialized, exercised and potty trained!